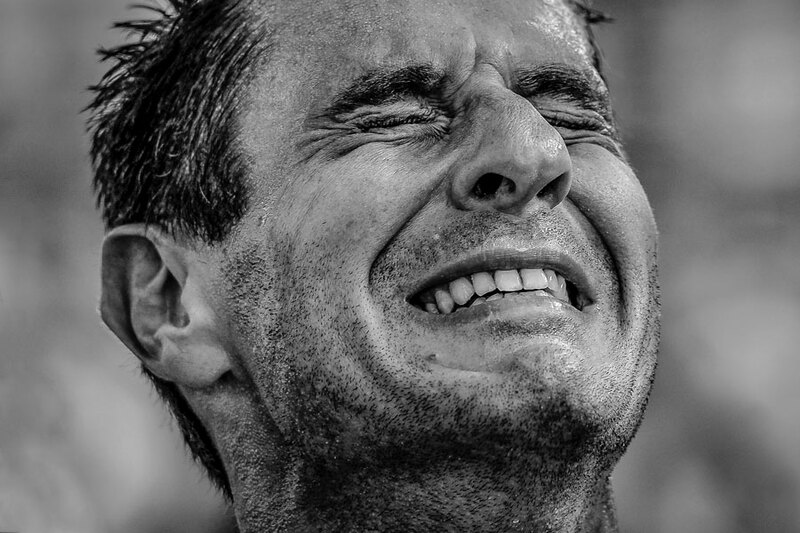 Wild, strained faces of boxers, joyous burlesque dancers, marathon runners after the finish line, rock musicians in their moment of total euphoria. Always pretty close to the action. Energised People it’s what it’s all about in Sven Hoffmann’s photographs. You can always get close to the protagonists, stand in the middle of the ring, be live on stage, and yet remain an invisible observer who respectfully cheers with quiet restraint. As if watching the action in the eye of a hurricane, Sven’s passion as a photographer leads him time and again into the worlds of sports, heavy music and urban scenes. The exhibition “PRETTY CLOSE” shows a printed selection of photographs by the Berlin photographer Sven Hoffmann. Sven started out working in film, gaining experience both as a producer and a director, eventually founding his own commercial production company around 15 years ago. Since then, his projects include, among many others, clients like Under Armor, Beats by Dre, Samsung, MTV, Sony and Nike. He has also traveled alongside renowned artists such as Queens of the Stone Age, Billy Idol, Freundeskreis, Iggy and the Stooges and The Bosshoss, while making long-format documentaries about them and their music.